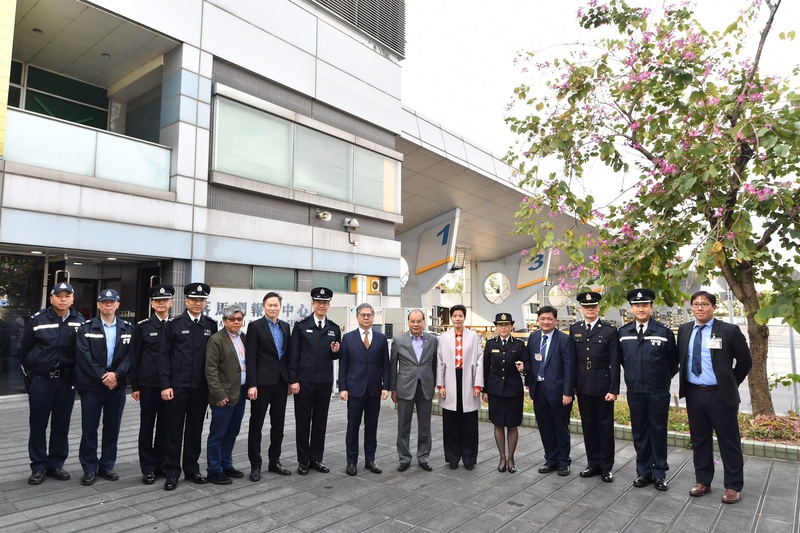 On the first day of the Lunar New Year, I visited the front-line staff of the Immigration Department (ImmD), Customs and Excise Department (C&ED), Hong Kong Police Force and Department of Health stationed at the Lok Ma Chau Land Boundary Control Point. I expressed my gratitude to them and thousands of fellow colleagues for their commitment at work during the Spring Festival. 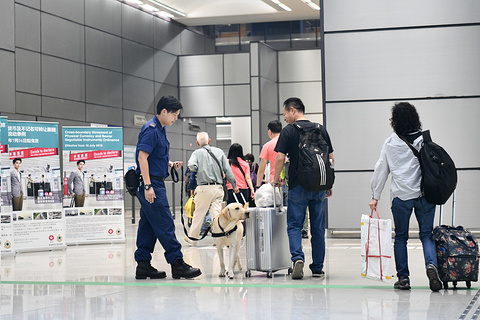 Through their dedicated efforts, all control points maintained smooth operation and efficient immigration clearance service to cater for a large number of Hong Kong residents and visitors. During the three-day Lunar New Year holidays (from 5 to 7 February), around 3.03 million passengers (including Hong Kong residents and visitors) passed through Hong Kong&apos;s sea, land and air control points, representing an increase of 540 000 passengers or 22% over the corresponding period of 2018. Among them, about four-fifths (or 2.37 million) entered or left Hong Kong through the land boundary control points. During those three days, a total of nearly 400 000 passengers travelled through the Hong Kong-Zhuhai-Macao Bridge, while nearly 270 000 passengers passed through the Hong Kong West Kowloon Station of the Guangzhou-Shenzhen-Hong Kong Express Rail Link. It was the first Lunar New Year since the commissioning of these two major infrastructural facilities, and both of them have reached record highs in the number of passengers. As an international hub with an excellent business environment, good public order, world-class tourism facilities and unique attractions, Hong Kong has been a magnet for people from all over the world for business, travel, work or study. 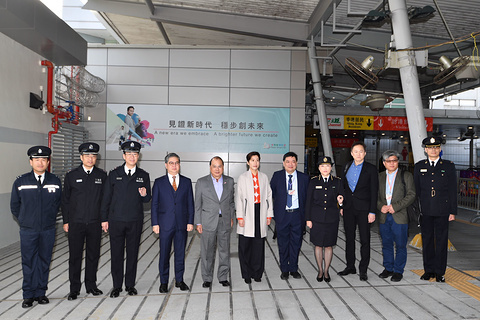 According to the records of ImmD, over 314 million passengers passed through Hong Kong&apos;s control points in 2018, representing an increase of over 15 million (or 5.1%) as compared to 299 million in 2017. Among them, over 130 million are visitors, representing an increase of over 13 million (or 11.4%) as compared to 117 million in 2017. 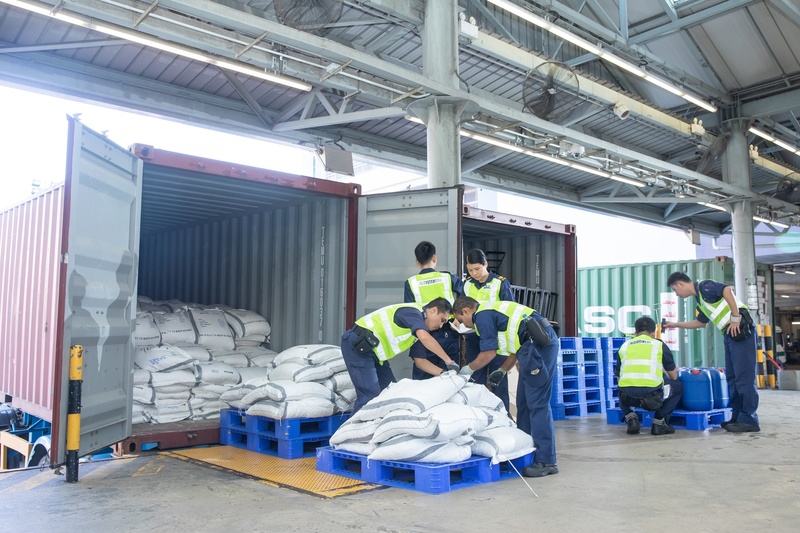 Our colleagues at the boundary control points have spared no efforts in performing their role, and have maintained close contact with their counterparts in the Mainland and other countries in order to combat crimes and ensure the prosperity and stability of Hong Kong. I am convinced that the boundary control points of Hong Kong are well-known in Asia and even the world for their high efficiency. The C&ED, with its long history of 110 years, has been playing an important role at the boundary control points of Hong Kong. Established in 1909, C&ED (formerly the Preventive Service) has evolved from a small team of only 25 staff members responsible for collecting duties on liquors to a progressive and forward-looking law enforcement agency with a staff of around 7 500. Now enjoying worldwide reputation, C&ED has witnessed the development of Hong Kong over the years. The C&ED has been playing the twin roles of "trade facilitator" and "community guardian". Apart from anti-smuggling, narcotics interdiction, revenue protection and protection of intellectual property rights, C&ED has also enforced legislation to protect consumer interests, protect and facilitate legitimate trade and industry, uphold Hong Kong&apos;s trading integrity and fulfil related international obligations. In 2018, around 22 600 cases were detected, up around 40% over 2017, with a total seizure value of over $1.2 billion. Such demanding tasks of course cannot be completed by sticking to the old way. The border control of a smart city requires the support of both talent and technology. Up-to-date training is provided for staff and advanced equipment for screening and inspection is introduced at each boundary control point, including non-contact identifiers of Raman spectroscopy for instant detection of drugs, portable X-ray scanners equipped with backscatter X-ray technology for scanning vehicles for contraband, dual-technology X-ray scanners using transmission X-ray technology and backscatter X-ray technology for more accurate scanning and analysis, with a view to enhancing law enforcement, fighting crimes and facilitating clearance. Let us take the protection of intellectual property rights for example. In addition to enhancing law enforcement efforts, C&ED is developing a new "Big Data System" to detect infringing activities and identify crime trends in response to the needs of the new age. Moreover, the Cross-boundary Movement of Physical Currency and Bearer Negotiable Instruments Ordinance implemented in 2018 serves to establish a declaration and disclosure system for detecting the movement of currency and bearer negotiable instruments into or out of Hong Kong, in order to combat money laundering and terrorist financing. The ImmD also provides various services which are closely related to the public&apos;s daily life. Established in 1961 with a staff of only around 200, ImmD has kept abreast of the times over the past 57 years and developed into a nearly 9 000-strong force. In the beginning, ImmD was mainly responsible for exercising immigration control, combating immigration-related crimes, issuing travel documents and visas, etc. Since then, it has taken over the work of registration of persons and civil registration services for births, deaths and marriages. Amidst rapid social change and development, ImmD has been proactively adopting advanced information technologies and formulating new information system strategies to keep pace with the times with a view to responding swiftly to the ever-increasing demand of the public for quality public services. For instance, ImmD has made good use of technology, thereby enhancing efficiency greatly, to enable immigration clearance through e-Channels for more visitors. 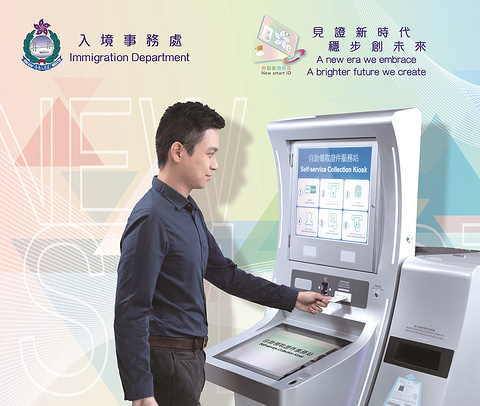 We used to queue at immigration counters for departure clearance, but now around 700 multi-purpose e-Channels have been set up at control points for use by eligible Hong Kong residents and visitors. 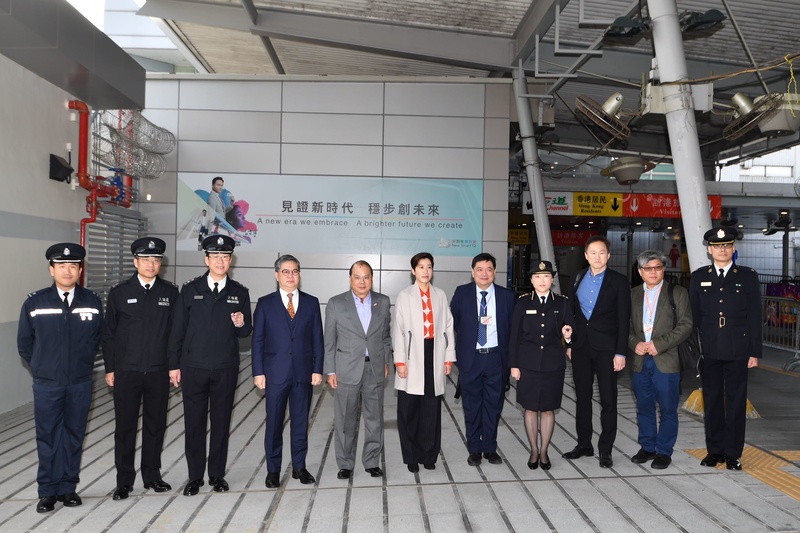 To expedite clearance for the substantial passenger traffic, ImmD launched self-service departure for visitors to Hong Kong (Smart Departure) in 2017. Smart Departure employs face recognition technology for identity verification, which enables eligible visitors holding valid electronic travel documents compliant with the International Civil Aviation Organization&apos;s requirements to perform self-service departure clearance through e-Channels without prior enrolment. The whole process takes about 20 seconds on average, which is about half a minute faster than clearance at immigration counters. 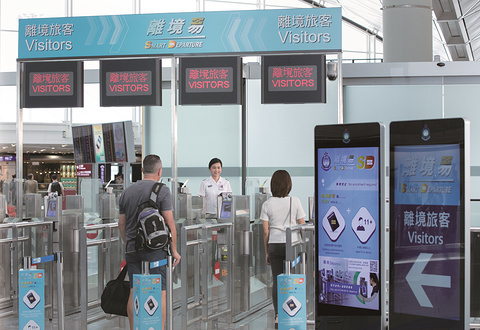 As at the end of 2018, over 6.2 million visitors used the service. In addition, the Territory-wide Identity Card Replacement Exercise is being conducted by ImmD. With enhanced security features, card durability and chip technology on personal data protection, the new smart identity cards will effectively help reduce forgery cases. ImmD will assist citizens in replacing about 8.8 million smart identity cards and the replacement exercise is expected to complete by 2022. Following the opening of the Hong Kong-Zhuhai-Macao Bridge and the Hong Kong Section of the Guangzhou-Shenzhen-Hong Kong Express Rail Link, the Liantang/Heung Yuen Wai Boundary Control Point is expected to be completed by the end of the year. Our work at boundary control points will become all the more important and diversified with gradual transformation into a SMART mode of operation, i.e. Secure, Measurable, Automated, Risk Management-based and Technology-driven. In the new year, we will continue to work as a gate-keeper to safeguard the stability and prosperity of Hong Kong.